In my last article on pitching drills I talked about how most pitching drills are not only a waste of time, but in some cases can actually be counterproductive. In fact, there are a lot of drills out there that will do nothing but ingrain mechanical habits that work against you in your efforts to increase velocity and consistency. The 1 Knee Drill: Here the pitcher works on throwing from one knee with his stride leg out in front of him. I think the purpose is to isolate the upper half and work on finishing across the front leg. But in reality it teaches collapsing the front knee, which is exactly what you DON’T want to do when you pitch. See an article I wrote on the importance of bracing up with your front knee. 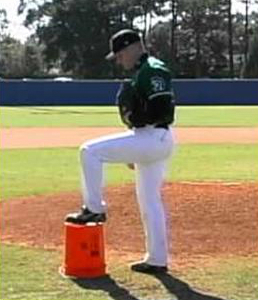 The Balance Drill: This is where the pitcher lifts his leg and pauses at the top before making a pitch. 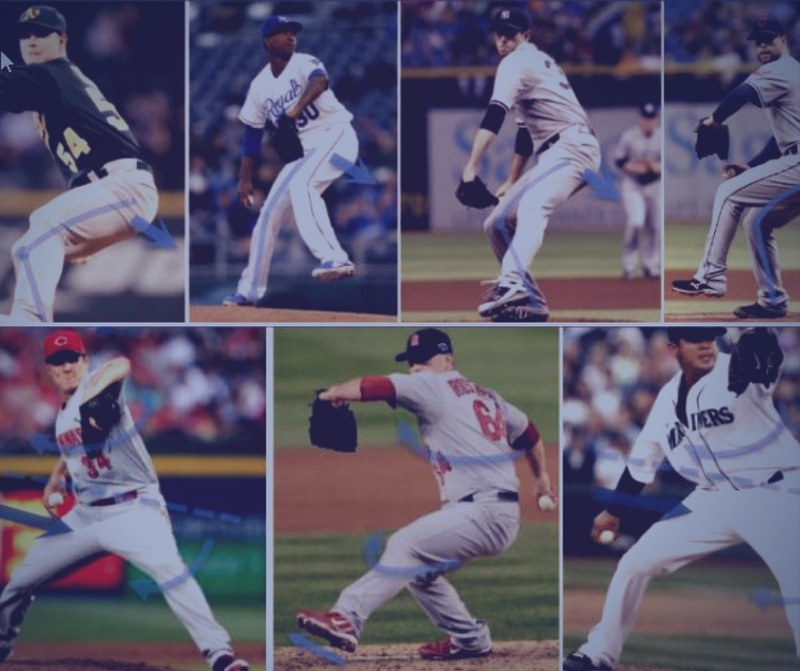 There are many variations, but the most common one has the pitcher hold the leg lift for a count of three before making his pitch. Early momentum is critical for maximizing power in your delivery. If you look at major league pitchers, especially the hardest throwers and guys with long successful track records, they begin moving towards home plate early their leg lift. Pausing at the top kills momentum, disrupts timing, and reduces velocity. The Even Worse Variation of the Balance Drill: I don’t know what you call this one, but I saw it the other day and my jaw just about hit the floor. Here the pitcher not only holds the leg lift, but he actually is supposed to start with his arm up ready to throw. This is not at all where you want your arm to be at this stage in your delivery! This drill not only kills momentum, but actually seems to purposely get your arms and legs out of sync… baffling. More than any other drill I’ve seen, this one goes completely against developing good arm action and timing in your pitching delivery. The 2 Step Drill: This is where the pitcher begins motion, strides out towards home plate and then pauses at front foot plant (again the emphasis is on getting the arms up). He then restarts his motion to throw from the power position. This looked like an innocent enough drill when I first saw it. But after watching young pitchers who performed this drill for years, I noticed their deliveries looked completely robotic and mechanical. This drill effectively trains a hitch into your motion that interferes with the efficient transfer of momentum you get from a fluid, explosive pitching delivery. Take a look at any large sample of big league pitchers and it’s pretty easy to see there a lot of different ways to get it done. You’ll see all sorts of different pitching styles, different deliveries, different arm slots, etc. 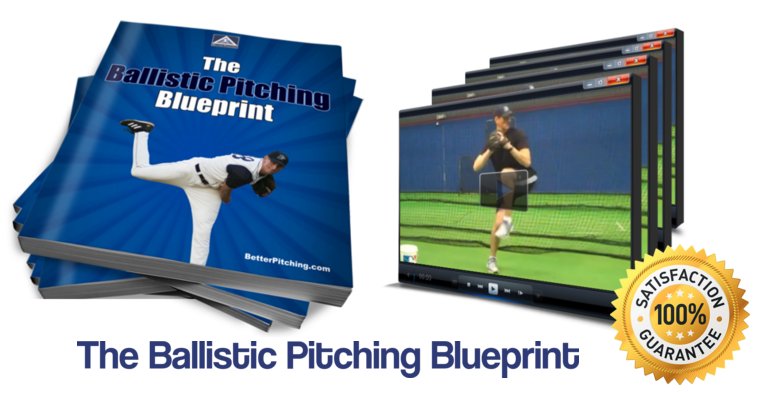 So again, only use drills that are designed to address the Big Three Components of good pitching delivery: Balance, Timing and Power. Dump any drills that have you pause in your delivery or focus on getting to specific points in your motion. Remember, the pitching delivery is a complex chain of movements, so only use drills that train those movements!